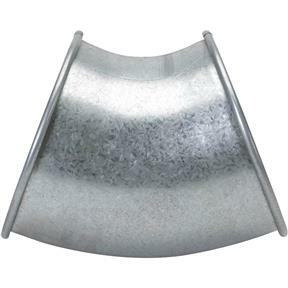 These press-formed elbows are comprised of two 24-gauge galvanized steel halves, stitch welded together for exceptional durability. 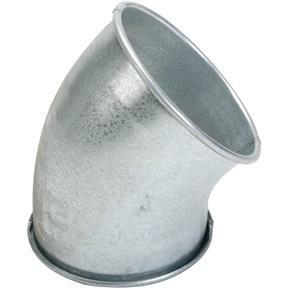 45° connector with a diameter of 7" and Center-Line radius of 1.0. Note: One Quick-Fit clamp of appropriate diameter is required for every connection within your system. 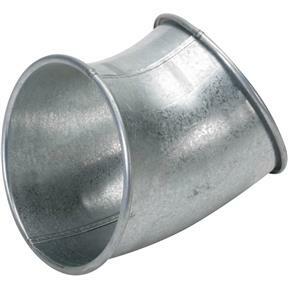 These press-formed elbows are comprised of two 24-gauge galvanized steel halves, stitch welded together for exceptional durability. 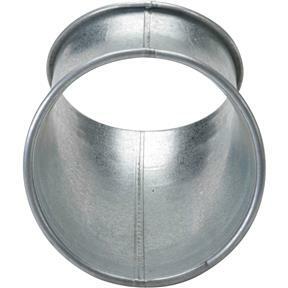 45° connector with a diameter of 7" and Center-Line radius of 1.0.